Happy birthday to one of our favorite childhood authors! 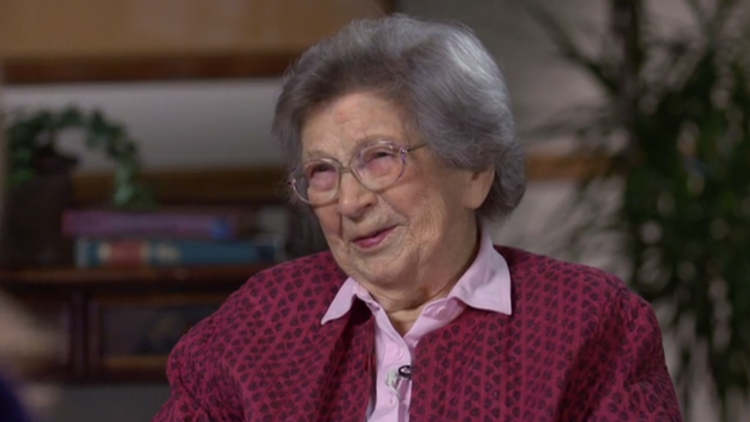 It's hard to believe that some of author Beverly Cleary's beloved characters are nearly 50 years old. Little Ramona, who got in trouble for pulling one of nemesis Susan's curls, middle-aged? Henry Huggins, owner of beloved dog Ribsy, ready for AARP? Could Ramona's big-sister Beezus actually be old enough to be Grandma Beezus? But it's true, and Cleary herself turns 103 on April 12. When TODAY's Jenna Bush Hager interviewed Cleary in 2016 and asked her about reaching her 100th birthday, Cleary responded with true Ramona spirit, saying, "Well, I didn't do it on purpose!" She'd never assumed she'd make it to the century mark, Cleary said. "I remember a very earnest conversation my best friend and I had when we were, I guess, freshmen in high school, about how long we wanted to live," the author recalled. "And we decided that 80 was the cut-off date." Two decades after that cut-off, it's not the awards or critical reviews that please Cleary the most, but how much her work delighted its young audience. She's proudest, she told TODAY, simply of "the fact that children love my books." Growing up in rural Oregon, she herself came to books slowly, and didn't begin reading until second grade. She found children's books of the time uninteresting. "Books in those days, back in the 1920s, had been published in England, and the children had nannies and pony carts and they seemed like a bunch of sissies to me," she told TODAY. Cleary's books have no pony carts or nannies. They burst with lively characters living in a real, recognizable world, tackling the experiences and emotions of actual American children. From getting stuck in new boots in a muddy parking lot to drawing up posters to convince a father to stop smoking, Ramona and her pals were as recognizable as a mirror. She inspired other authors as well. "Beverly... you were my inspiration when I started to write all those years ago," said legendary writer Judy Blume, author of "Are You There, God, It's Me, Margaret?" and many other young-adult novels. "You remain my inspiration today." Newbery Medal-winning children's author Kate DiCamillo agreed. "(Cleary's) books are so wonderful when you're a kid ... and when you're 51 years old, they still matter to you," she said. "I write books for kids... I wanna write like Beverly Cleary." With more than 40 books to her credit and the love of countless fans, Cleary has much to look back on, but she's keeping a little mystery about what lies ahead. When asked by Jenna Bush Hager what she's looking forward to, she replied "At my age? Well, I'll leave that up to you."